FC Bayern München could be without the services of centre-back Jerome Boateng for several weeks after the club announced that the World Cup winner is set for a 'long pause'. The 27-year-old, who recently extended his contract until 2021, had to be helped off the pitch in the 55th minute of the German record titleholders’ 2-1 victory over Hamburger SV on Friday night. A scan in Munich on Saturday revealed the extent of the damage to his groin, an injury reminiscent of the one which has kept Mario Götze out of action since early October. With Medhi Benatia and Rafinha already sidelined, there are even concerns that Pep Guardiola could be without his main defensive stalwart for the majority of the remainder of the season. “We have a problem, but we’ll find a solution,” said Guardiola. 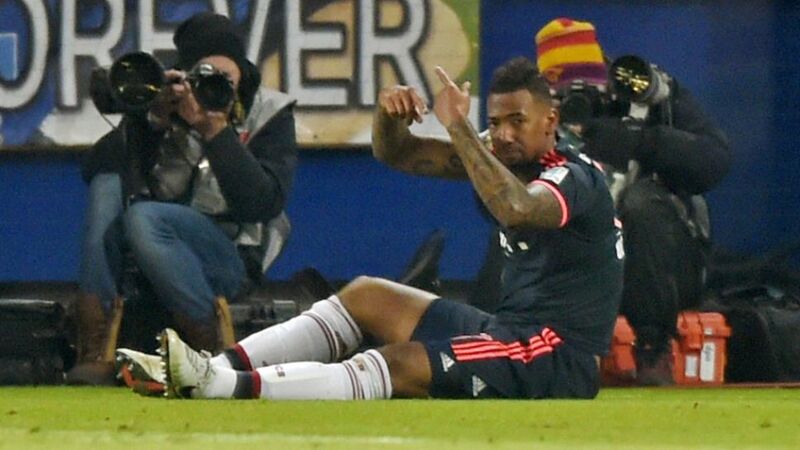 The club had initially suggested Boateng would be 'doubtful' for their next league fixture against TSG 1899 Hoffenheim, but he is now expected to be sidelined for three weeks at the very least.